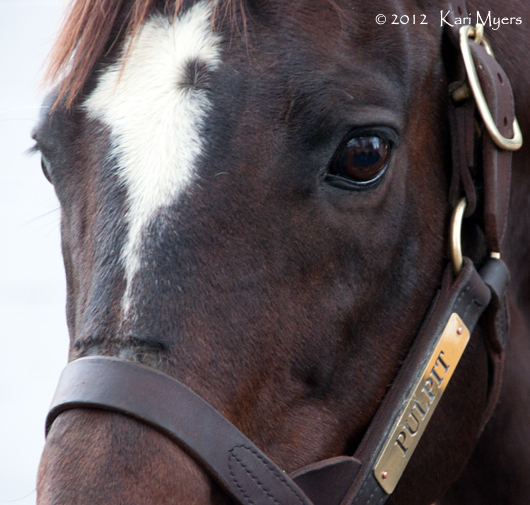 Nov 3, 2012: Pulpit poses for the camera. Pulpit (A.P. 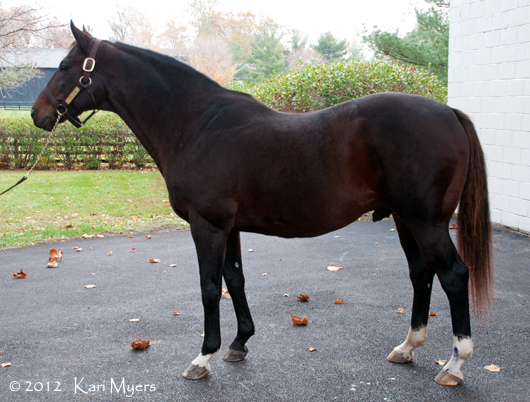 Indy – Preach) passed away today in his paddock at Claiborne Farm at the age of 18. I’m just heartsick. Claiborne is such a wonderful place, full of amazing horses and fantastic people, but one of my favorites was always Pulpit. I was able to visit him just a few weeks ago, but you never leave thinking it will be the last time. There are pages and pages of accolades dedicated to his success on the track and at stud, so I’ll just leave you with some of my favorite pictures from a rather dreary day in November. Goodbye, Pulpit. I’m happy to know you were so well loved. 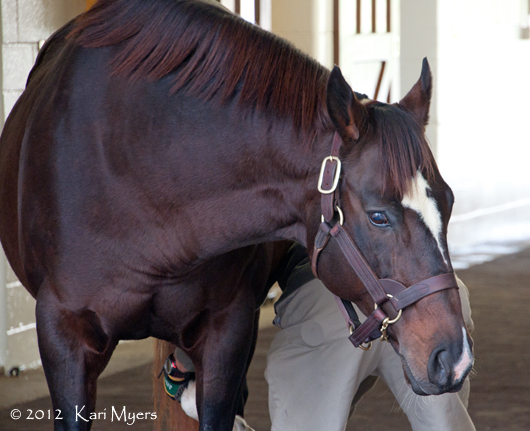 Nov 3, 2012: Pulpit waits patiently while Rodeo cleans a hoof. 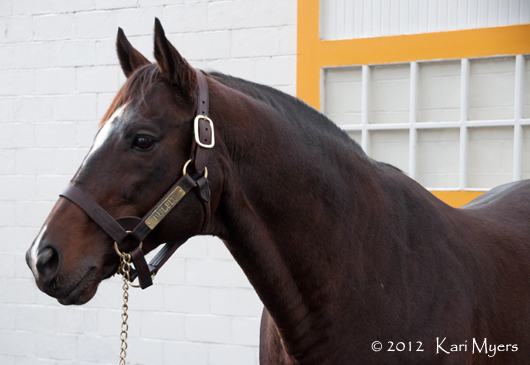 Nov 3, 2012: Pulpit at Claiborne Farm. 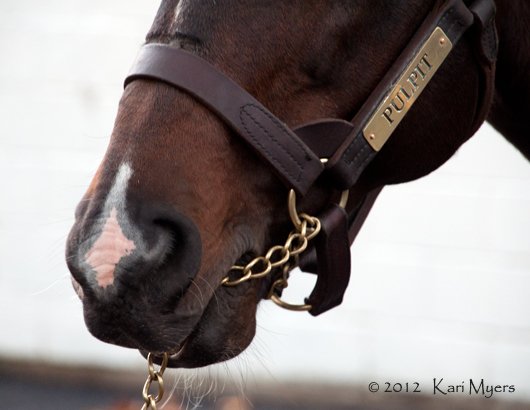 Nov 3, 2012: Goodbye, Pulpit. I hope they play the chain game with you wherever you are.